Aci Trezza and Aci Castello: two picturesque Sicilian villages to be explored! Acicastello and Aci Trezza (or Acitrezza) are seaside towns that rise 1km from each other, near Catania. What I like about these places is that despite representing two important tourist destinations in Sicily, they still maintain their identity as small fishing villages. The landscape of Aci Trezza is characterized by the presence of its Faraglioni, volcanic rocks that are located a few meters off the shore. 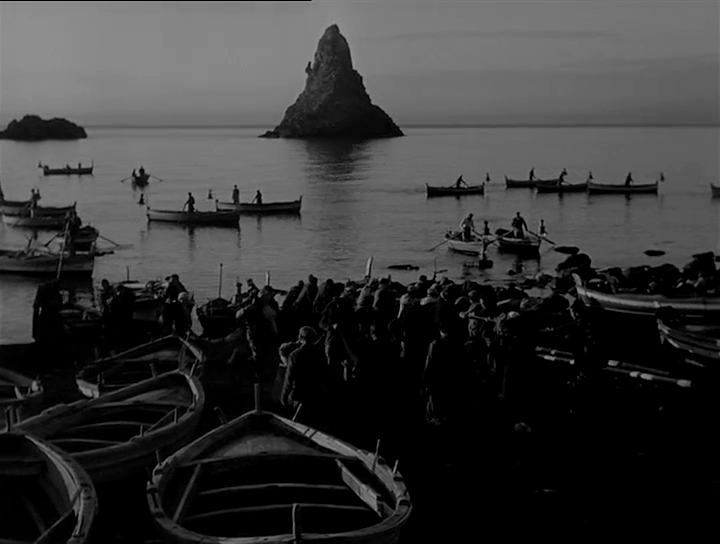 According to legend, the faraglioni are the “rocks” thrown by Polyphemus against Ulysses, while the latter escaped by sea from the anger of the Cyclops. 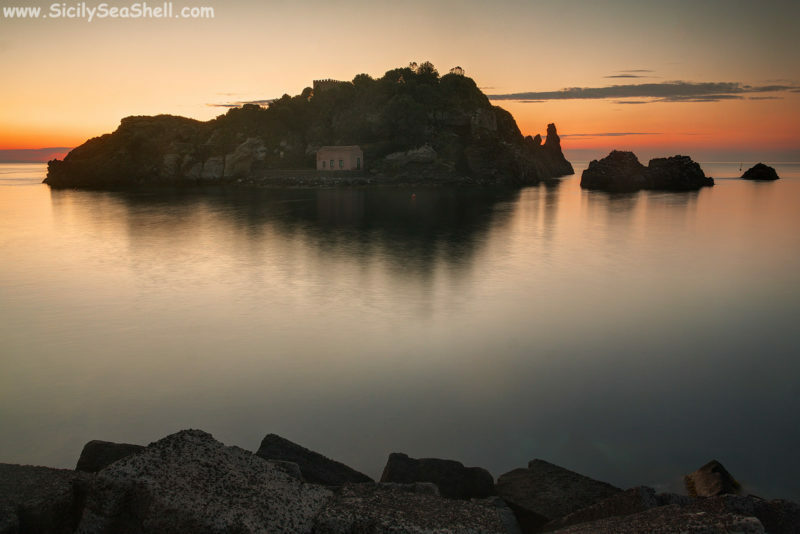 Opposite the small port of Aci Trezza is Isola Lachea (also mentioned in the Homer’s Odyssey). Together with the Faraglioni, it forms the so-called Archipelago of the Cyclops. 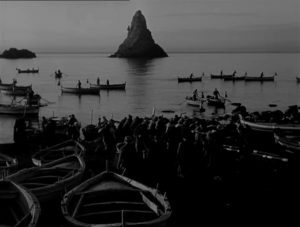 There is no organized service to reach the island: it’s Aci Trezza’s fishermen themselves who take visitors there, on board their boats. If you want to arrive on the island of Lachea, you simply have to go to the marina of the town and ask for information. Aci Trezza is the place where one of the most important italian novels is set: “I Malavoglia” by Giovanni Verga. In the village there is the “Casa del Nespolo”, the house that seems to have inspired the writer for this novel. Inside it, there is a small museum, in which you can find some tools of fishermen dating back to the 19th century. 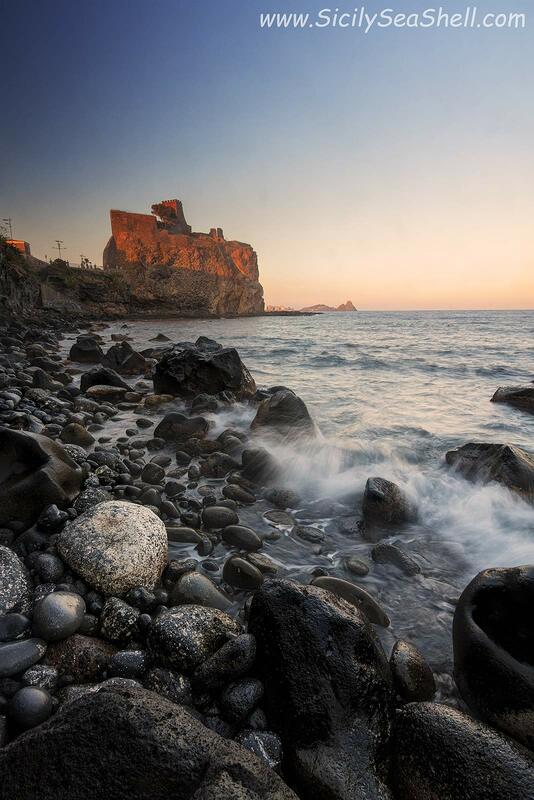 The name of Acicastello originates from the Norman Castle that stands on the sea, which can now be visited. The castle offers a wonderful view of the coast. Inside the castle you can also visit the civic museum. At the foot of the castle there is an elegant little square, very popular, from which you will have a splendid view of the cliff and the stacks of Aci Trezza, which lie on the opposite side of the bay. A stairway will allow you to descend from the square to the beach below, just at the base of the place where the castle stands. The historic center of the village is very beautiful, with its churches and the many buildings made of lava stone. There are also bars, restaurants and pizzerias; if you want to stop for dinner, I particularly recommend the pizzeria “Jonica”. In Acicastello there are also some very popular discos. The promenade that connects Acicastello to Catania is known as “La Scogliera” and is very popular among the people of Catania. To make it beautiful are the black lava rock coast and the vegetation that separates the beach from the road, full of agaves and prickly pears. From spring to autumn the area is always crowded with people strolling, cycling or jogging. Both in Acicastello and in Aci Trezza you can choose different places on the beach and enjoy a swim with a splendid view of the Faraglioni or of the Norman castle. The scenery is very impressive, but keep in mind that, due to the rocks and the rocky bottom, the beach in this area is not comfortable. The alternative is to chose the bathing establishments (very expensive!) that are set up during the summer, where you can rent umbrellas and sunbeds. These two villages are about 20Km from the Sea Shell, and are easily reachable by car or public transport. To reach Aci Trezza, take the SS-114 and head south. Once you have passed Acireale, you will find the indications for Aci Trezza. To get to Acicastello continue for a short distance on the same road. Even in the summer, parking is generally available (on payment) along the streets of the two towns. Aci Trezza is connected to the center of Catania by the urban bus 534 AMT company, which also travels along the way from Acicastello. You can get on the bus 534 in front of the Catania Centrale station. Check schedules and plan your visit well, as only a few trips a day are available. If you like walking, you can get off the train at Cannizzaro station and reach Acicastello on foot. The route is a bit long (3Km), but offers a splendid view of the lava rock cliff. Pay attention if you want to go on foot from Acicastello to Aci Trezza, as you need to take a short stretch of highway (alternatively use the bus!). The city of Acireale is located at 8Km from Aci Trezza. Also, the two localities are only a few kilometers from Catania.